A Woodsrunner's Diary: 18th Century Historical Trekking or Historical Travel. 18th Century Historical Trekking or Historical Travel. I read a post written by my friend Karl today, in fact I have posted the link on this blog. While I found his article very interesting, it also served to remind me that some people may still not fully understand what historical trekking is all about. It could just as well be called Historical Travel, because it is all about travelling away from home and what clothing, equipment, tools and skills as well as transport are used to travel. Historical Trekking can include any period at all, not just the 18th century, but until I introduced it to a Medieval friend of mine it was predominantly 18th century. Now members of NEMAS in Armidale NSW are also involved in Historical Trekking middle ages style. 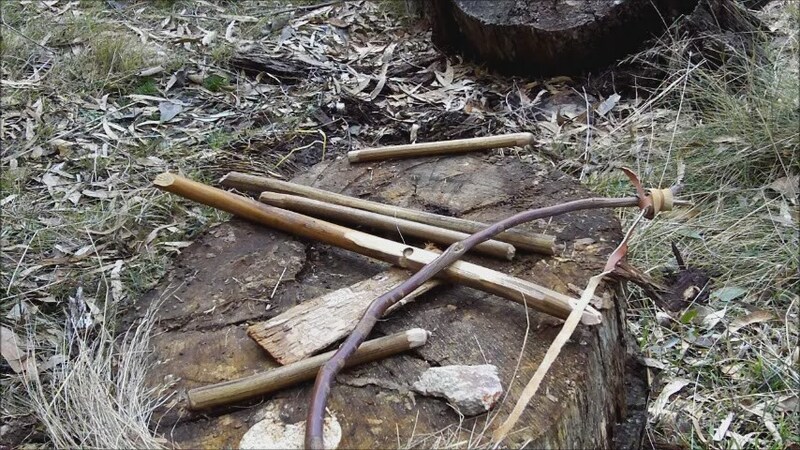 But just because we have set ourselves a period of 1680 to 1760, that does not mean that we can't incorporate earlier period items of hardware and primitive skills into our activities, which in fact we do. We learn & practice skills that the natives used at the time of colonisation in the New World, and in deed here in Australia also. The very fact that our group is in New England Australia means that we need to learn all about native fauna and flora and its many uses. Here below is a list of the skills that our woodsrunners, both ment & women, are expected to learn and practice. 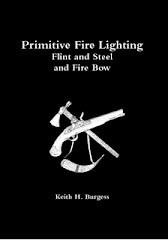 But this list is only a guide, it does not restrict us from learning many other primitive skills from bark canoe construction to flint knapping and many more. My thanks to Karl for his post, as is often the case we give each other ideas for future posts. I would like to point out that this post is in no way to educate Karl as to what we do, Karl is very aware of our activities and practices many of the same skills himself. Still Karl's post made me realise that many people may not fully understand what we are all about and so prompted this post. Good post Keith, as was Karls today. I would find a article or two expounding on this article interesting. A skills template, woodsrunner style. Thank you Dave. 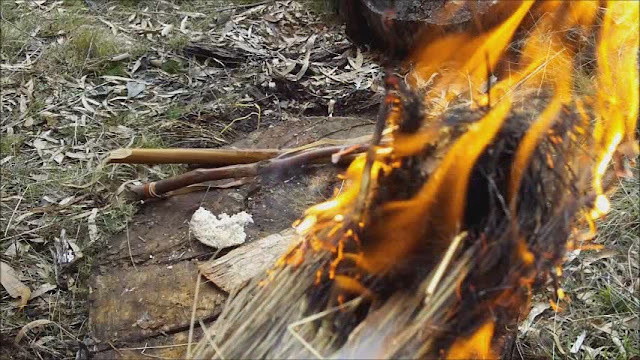 Don't forget the video for fire-bow is on my youtube channel. Karl, you are welcome here anytime, you & your wife. We have a spare room or two. Thanks Doc. Could you please be more specific on what you mean by a skills template please? Finding Witchety Grubs. Survival foods. Link to Info on Purses. 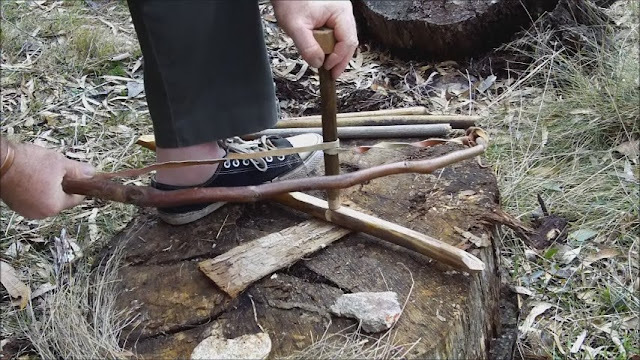 The Fascine Knife or Billhook. Clean Water. Make yourself some filter bags. Ned Kellys Secret. A New Book By Sophie Masson. Fishing Information, Links & Tackle. Conrad Hawkwood said... and my reply. School Fare, 1748. A Link. Apron Strings . A Link. The Diary of Samuel Pepys. May Dew. Huron Indian Tribe History. A Link. Catoptrical Victuallers, Beware! A Link. The Mountain Men. A Documentary Video. How To Make Wool Buttons. A Link. More on Selkirk aka Robinson Crusoe. Tools Of The Trade. The Butcher. You Still Need To Carry Your Shot Pouch. A Cartridge Box or Cartouche For Faster Reloads. French 18th Century Cartridge Pouch. Shell Horn For Warning Settlers of a Raid. Mid 17th Century French Pouches. The Duel At Blood Creek. A Short Film. Dating In The 18th Century.